Left Coast Rebel: Was Afghanistan Worth it? 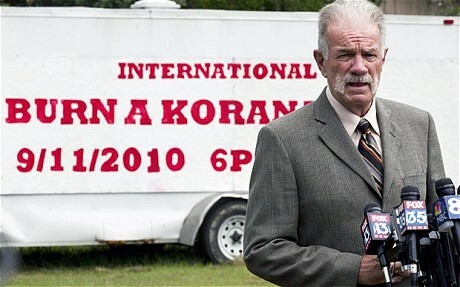 Koran-burner: Florida pastor Terry Jones. Image c/o AP/Telegraph. I don't even know where to start with the story of the raging violence in Afghanistan based on the March 20 Koran-burning episode of Florida pastor Terry Jones? Forgive me if I bounce between different political/philosophical points. First, how about we start with the American-inserted figurehead of Afghanistan "democracy", President Hamid Karzai; brazenly calling for the arrest of Florida Koran-burning pastor Terry Jones, thereby -- in my opinion -- inciting more violence (more on this at Last Tradition). On Thursday, however, President Karzai made a speech and issued statements condemning the Koran burning and calling for the arrest of Mr. Jones for his actions. On Friday, that theme was picked up in mosques throughout Afghanistan. Um, no. Leftists and Islamists around the world (attached at the hip by their hatred of the West and capitalism) may hate to admit it, but Terry Jones, in burning the Koran, was doing nothing more than exercising his 1st-Amendment rights. 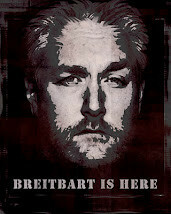 Yes, the same leftists that extol the 1st Amendment-protected (via. several Supreme Court rulings) virtues of American flag burning think that Terry Jones does not have the same right to burn a religious book that represents the most pervasive backwards ideology in the world today. Note how close this unscientific poll at the Guardian is on this issue (it's actually surprising close, as I assume knuckle-draggers in droves took part in it), check out the comments. I wouldn't burn a "sacred" religious text -- or any other manifesto, to make a point -- but it is Terry Jones constitutional right to behave like a fool and do so, like it or not. Any idiot that wishes to burn a Bible or sacred Hindu, Jewish, Shinto, Taoist, Sikh, Bahá'í, or Bhuddist texts has the right to do so as well. Here is a question for you: how many people would die if someone burned a book associated with any of the major religions of the world, other than Islam? Another note: Terry Jones is just the excuse needed by Afghani knuckle-dragging Islamists (I know, that's redundant) to kill anyone associated with the West. Consider this. How strong is the multi-hundred billion dollar-funded -- or is it trillion, who's counting when we're broke? -- American taxpayer-funded "democracy" in Afghanistan? This is not the beginning of the end for the international community in Afghanistan. This is the end. Terry Jones and others will continue to pull anti-Islam stunts and opportunistic extremists here will use those actions to incite attacks against foreigners. Unless we, the internationals, want our guards to fire on unarmed protesters from now on, the day has come for us to leave Afghanistan. Many in Western civilization want to put on their moral equivalence glasses and see Islam as no better or worse than Christianity or Judaism. This my friends is nothing but wishful thinking taken to the nth degree. Pick up a newspaper on almost any given day and somewhere in the world Muslims are killing each other or someone they disagree with, all in the name of Islam. Even their women and children have embraced a culture of death. When I think of all the national treasure we spend to give the Afghans a shot at freedom and then read about these killings, I cannot help but feel we have completely wasted our efforts. How can true democracy with and passion for individual freedom ever take hold in a place like that? Methinks not. Clifton is exactly right. This incident is yet more proof that nation-building and promoting democracy in an area of the world that hates the West and democracy is futile. It is not worth the blood, sweat, tears, and national treasure involved to do so. And again: we're beyond broke. After the September 11th attack on American soil, we should have bombed Afghanistan to kingdom come, killed those responsible and turned any area of the region to glass that may have been harboring Bin Laden and then gotten the hell out of there. We cannot force liberal Western democracy on a people that willingly wish to be ruled autocratically by a Sharia-donning iron-fisted theocrats. They want to kill us all-the-more for attempting to force them to think otherwise. 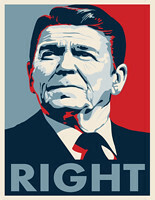 The sooner we as a nation realize this, the better. >we should have bombed Afghanistan to kingdom come, killed those responsible and turned any area of the region to glass that may have been harboring Bin Laden and then gotten the hell out of there. 1Co 10:23 All things are lawful for me, but not all things are helpful; all things are lawful for me, but not all things edify. And the so called leader of Afghanistan? I think it may have been possible to be expressive about his disagreement without enciting a riot or typical extreme Islamic violence. Thanks for the linky love, Tim, The sitituation in Afghanestan needs to be re-evaluated prety quick. You know I've said it before that the GOP should go anti-war as an issue, they'll never do it, because they have no guts. But, we've been there long enough. Let Iraq and Afghanestan fend for themselves. And if they mount any attacks against us or Israel, wipe them off the face of the earth and be done with it. Like they say in the hood, "Don't start none, won't be none!" John - I totally agree, an imprudent move but Jones has the right to do it. Totally agree on the "leader" of Afghanistan, too. I agree that democratizing and civilizing Afghanistan (or any Islamic country) is a fool's errand. We should get out as soon as possible. However, I support Terry Jones and disagree that he is an "idiot." The "sacred text" that you bemoan is nothing more than a handbook for murder and terror. We should all burn a Koran. Some describe the situation by saying Terry Jones "incited" Islamic extremists to commit acts of deadly violence. That begs the question... Who incited Terry Jones? I am not saying that Terry Jones doesn't have the right to do as he did. 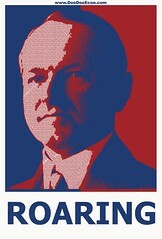 And to those that think it was a good idea... What if it was you or a loved one that died as a result of his actions? I agree in part with Stogie, we should not have our people there! Let our troops protect our borders!